Even the most preliminary search into American folk music, be it old-time, blues, country, gospel, or otherwise, will lead you straight to the Lomax family. John Lomax and his sons Alan and John Lomax Jr. played a fundamental role in the documentation and archiving of American music and culture, and they did it for the larger part of a century. This Wednesday at the Stone Fox, we will have a special opportunity to view some choice selections from son Alan Lomax’s American Patchwork series. 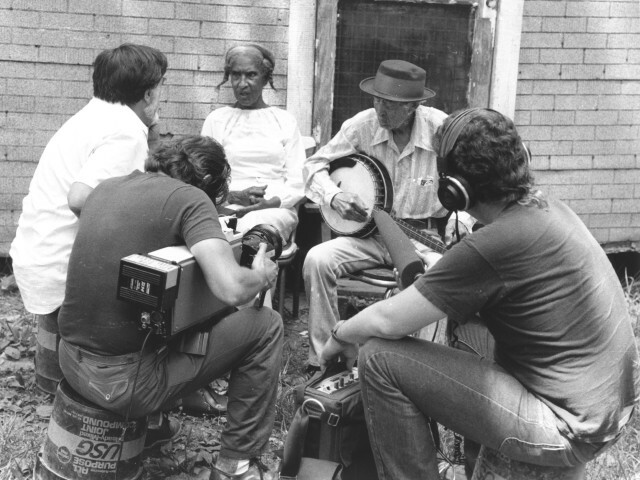 Filmed for PBS and originally aired in 1991, the project pull from the over 500 hours of footage captured during Lomax’s travels throughout the South and Southwest from 1978 to 1985. From bayou weirdos to real deal Mississippi drum and fife picnics, there’s a wealth of material here offering a glimpse into a completely different world. Following the footage, Alan Lomax Archive curator Nathan Salburg will perform a set of his own material. Don’t miss it!